Transparent glasses created optical illusions at Schiaparelli. 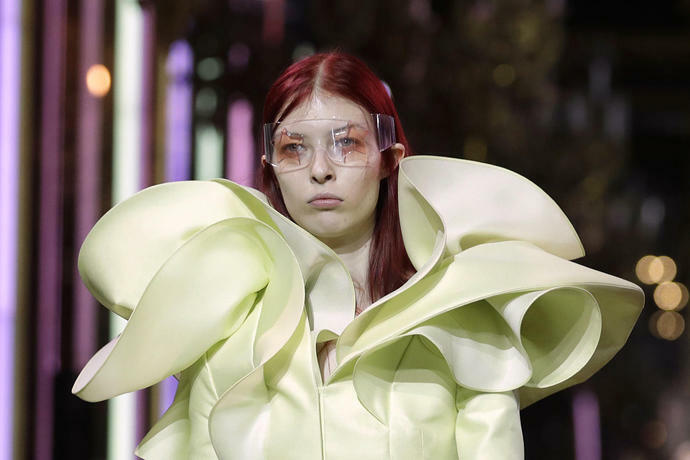 The Spring/Summer 2019 Haute Couture fashion season started with a bang Monday, as designers lit up the Parisian catwalks with a series of bold, beautiful makeup looks. We cherry-pick five of the best. 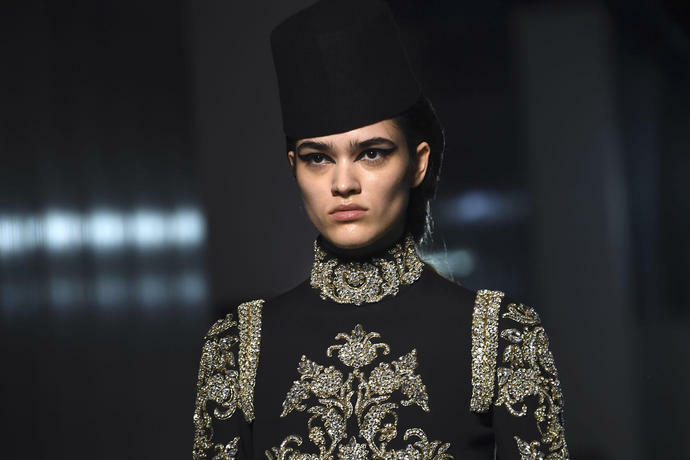 Dior's circus-themed show featured theatrical, clown-like makeup that centered on kohl-rimmed eyes and teardrop eyeliner. 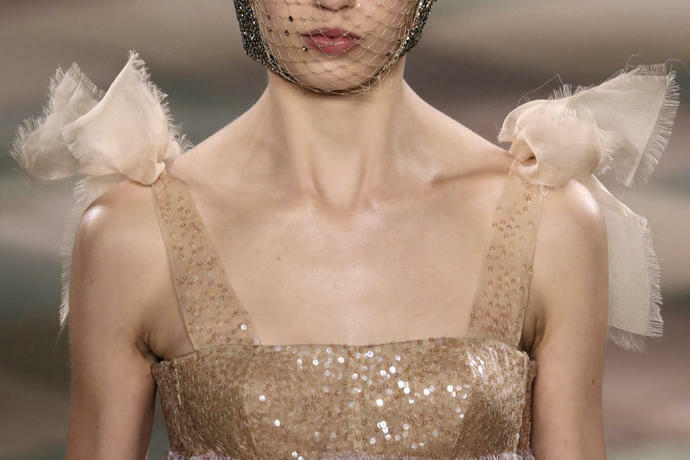 A dusty rose lipstick and dewy complexion added to the overall effect of nostalgic, sorrowful beauty, while the jewel-encrusted veils pulled over the models' faces meant they retained an aura of mystique. Giambattista Valli's models also sported heavy eyeliner, but this time it was swept out towards the temples in a languorous feline flick that lent a degree of attitude to the beauty look. This was underscored with a bold brow and a matte complexion. 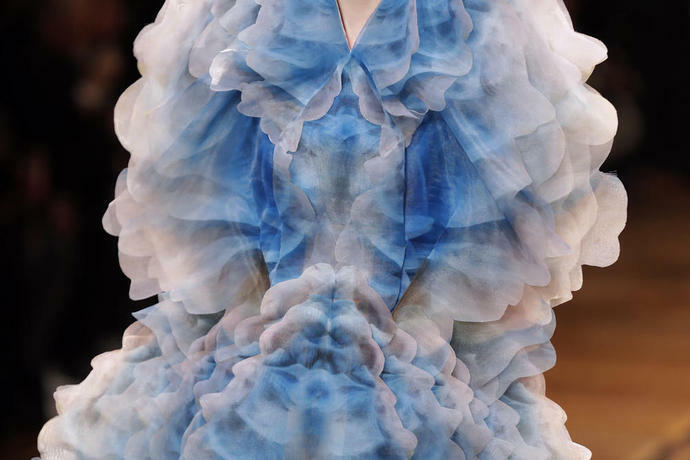 Dyeing the ends of your bangs to match your outfit is a bold statement, but not one that Iris Van Herpen was afraid of making. A matte complexion and bleached brows ensured that the attention stayed on the hair. Schiaparelli created the illusion of a colorful eye makeup look with a series of transparent glasses that featured brightly-hued star shapes that danced over the face in a clever optical illusion. Scarlet hair and a center parting completed the non-conformist approach. Winged eyeliner was also on the agenda at Georges Hobeika, this time, paired with smokey eyeshadow and platinum hairstyles swept all the way over to one side to create a choppy bob. A dab of pink lipstick softened the look.